5 + = 6 Required Please enter the correct value. IBM) and Apple Inc. (Nasdaq: AAPL) have agreed to an exclusive deal to sell more iPhones and iPads to the former's corporate and government customers. The deal will also see collaboration between the two firms to develop more than 100 new mobile applications in the B2B market. Shares of Apple are up more than 2% in morning hours. 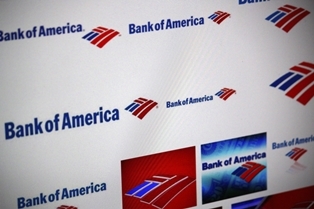 Banks Behaving Badly: Shares of Bank of America Corp. (NYSE: BAC) were in the red this morning on news that second-quarter profits slumped by 43%. The bank cited a massive one-time legal charge and ongoing struggles in its mortgage lending business. Recently, the bank agreed to pay $12 billion to regulators on charges stemming from mortgage loans and products it sold prior to the financial crisis. Murdoch on the Move: Shares of Time Warner Inc. (NYSE: TWX) surged in premarket trading more than 19% this morning on news that the company could be targeted for takeover by media mogul Roger Murdoch and Twenty-First Century Fox Inc. (Nasdaq: FOX). CNBC reported that Time Warner rejected the deal that included an offer of $85 per share; however, Murdoch is still aggressively targeting the company, and reports indicate the media mogul would sell CNN from Time Warner's portfolio in order to appease regulators, given his ownership of Fox News. What Inflation? Shares of Hershey Co. (Nasdaq: HSY) slid more than 1.5% in premarket hours on news that the chocolate giant will increase its prices by an average of 8%. Hershey cited rising prices of its primary ingredients like cocoa, milk, butter, and nuts. The company also stated it expected revenues for the year to come in on the low end of its previous forecasts.